University of California Press, 9780520266858, 232pp. "In this stunning collection of Ammann's photographs, Peterson offers an engaging natural history of giraffes, as well as a look at their behavior and beauty. . . . Ammann's exquisite photos portray the giraffes' majesty and just how impoverished our world would be if they 'march into a night of nonexistence.'" 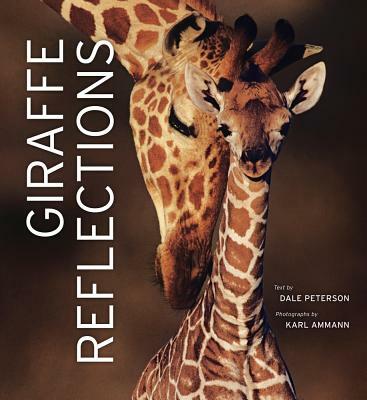 "Giraffe Reflections is a stunning compendium of animal photography and entertaining history. . . . The real point of the book is Ammann's gorgeous photos of giraffes, both atmospheric shots and more prosaic ones of the animals going about their business. With Peterson's entertaining text as a filigree, the combination is an emotionally satisfying presentation." "An elegant and comprehensive volume. In a series of lushly visual essays, the authors delve into the evolution of giraffes' strange anatomy and the intricacies of their behavior, as well as their possible futures alongside humans. Marvelously—and despite the book's encyclopedic presentation—giraffes become even more mysterious by the tome's end than they were at its beginning." “'Giraffe Reflections' is a rare breed in that it excels both as a photography book and a work of natural history. Karl Ammann’s photographs are riveting, but so is Peterson’s text. Each enhances the other." "This is, without a doubt, one of the most beautiful books of the year." "Striking full-page photographs are highlights in this comprehensive text on the biology and behavior of giraffes."